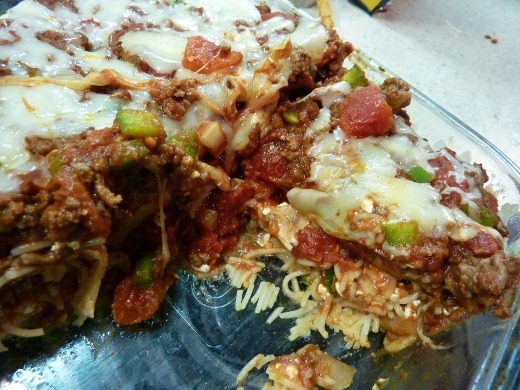 Spaghetti Pie! I have been craving spaghetti for ages, but it never really seems to fit into my calorie-mindful lifestyle. Until I found this recipe! 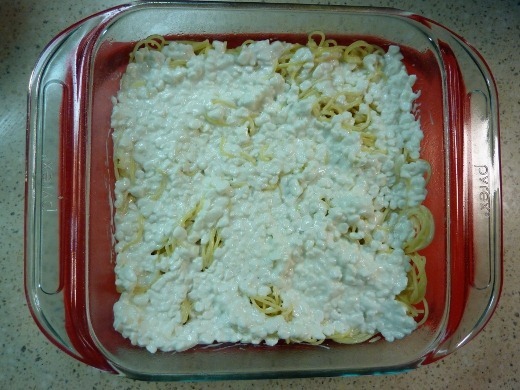 This is another recipe from my Comfort Food Diet cookbook. (Click here for the recipe.) 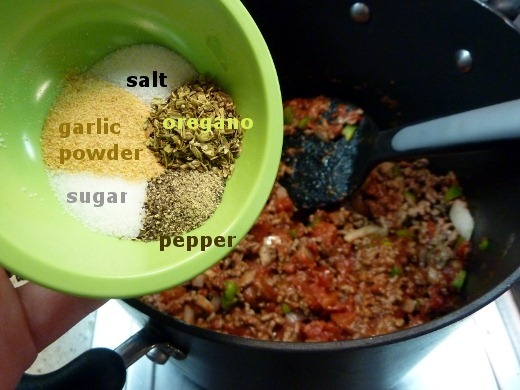 First I made a meat sauce with lean ground sirloin, onion, green pepper, diced tomatoes, tomato paste and seasonings. 1. 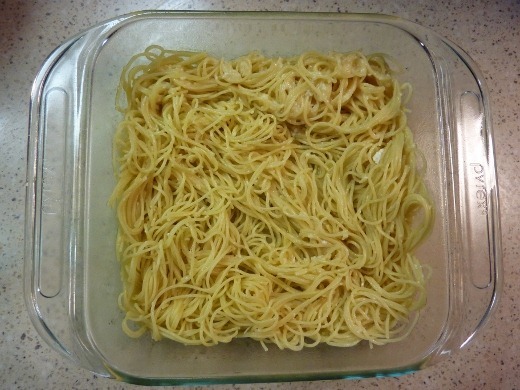 Cooked Spaghetti Angel Hair pasta mixed with egg whites, parmesan cheese, and butter. 4. Mozzarella cheese (added the last 5 minutes of baking). Sooooo good! I love this recipe. One-sixth of the above dish is the serving size, with 348 calories per serving. I had one serving and found it to be a very generous and filling serving size. 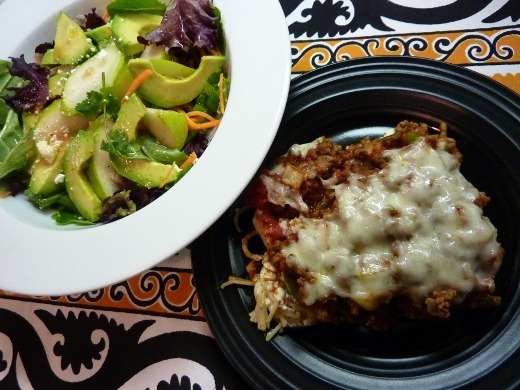 I served the spaghetti pie with my favorite salad, consisting of a mix of baby greens and herbs, spinach, and romaine, with sliced pear and avocado, gorgonzola, and a red wine vinaigrette dressing. Ooh.. and I don’t often blog about my lunches, but today’s was so good! And as always, click below to check out my daily 30 Day Shred updates. Currently listening to watching: The Oscars!! Pingback: Green Bean Casserole From Scratch « Meg.Goes.Nom.Nom. 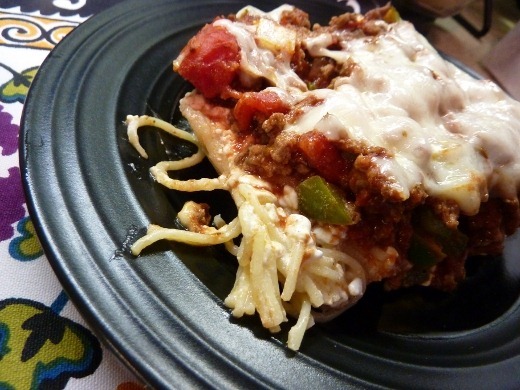 Pingback: Top Dinner Recipes of 2011–Part I « Meg.Goes.Nom.Nom. 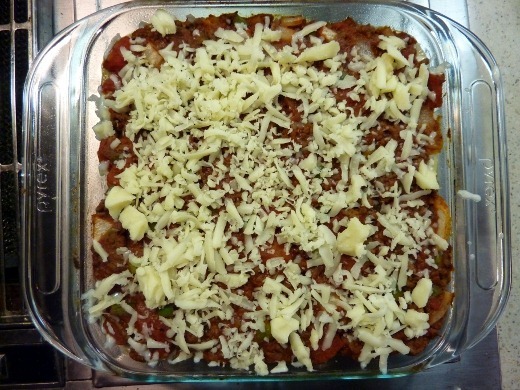 Pingback: Meal Planning for the Week of October 6–October 12 « Meg.Goes.Nom.Nom. 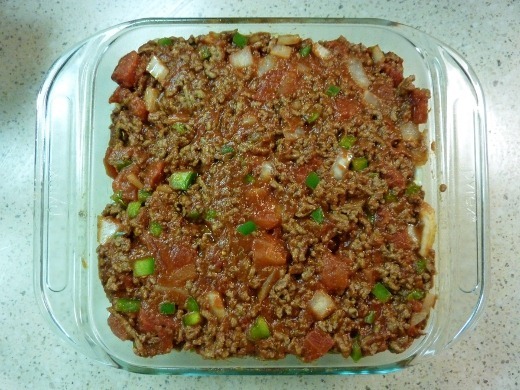 Pingback: Meal Planning for the Week of October 20-26 « Meg.Goes.Nom.Nom. Pingback: Domino’s Petting Farm & Korey’s Krispy Krunchy Chicken | Meg.Goes.Nom.Nom. Pingback: Pi Day | Meg.Goes.Nom.Nom. 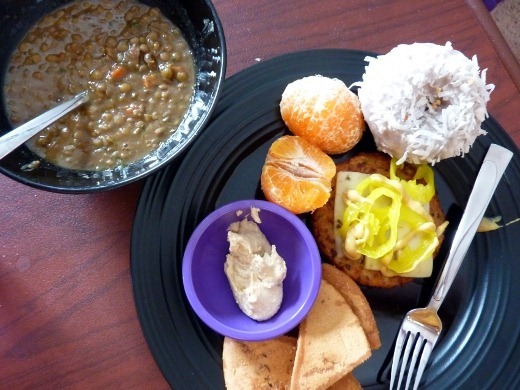 Pingback: Dinner Meal Plan for November 3-9 | Meg.Goes.Nom.Nom.